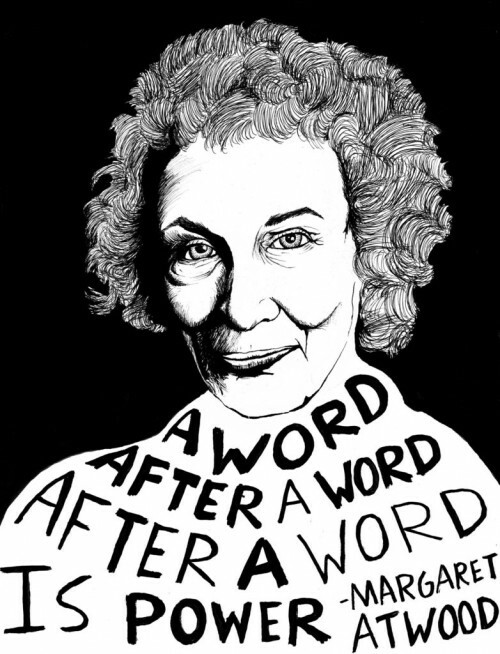 Margaret Atwood by Ryan Sheffield. Margaret Atwood was one of the first Margarets I remember hearing about when I was a child, and I felt linked to her because of this. My name is an enigma in that there are so many nicknames for Margaret, and people seem to randomly choose one for me. Does this happen with other names? Marge, Marg, Maggie, Peggy, and even Gretchen, Greta, and Meg come from Margaret. I go by the whole thing, which in my experience is unusual. There are a lot of hidden Margarets. I started a Margarets Pinterest board for fun, and have discovered many interesting women, who all share this name. Check it out! A to Z Challenge 2012: L is for Levels and Loving Them! how cool that you started a pinterest page about margarets! My husband’s name can’t really be turned into a nickname either–Wayne–I guess he could be “Way”!